In the meantime, let’s delve a little deeper to find out a little more about the licensing, ownership, and the software platform behind 888 Casino. 888 Holdings Inc. supplies the software for HarrahsCasino.com, but they also operate their own self-branded online casino in the New Jersey market, which you will find at 888 Casino. In August 2013, 888.com signed an agreement with Caesars Interactive Entertainment (CIE) through the group’s All American Poker Network (AAPN) enabling 888 to offer its own branded casino and poker products in New Jersey. The All American Poker Network (AAPN) is a joint venture between 888 Holdings and Avenue Capital Group (ACG) that established the leading online poker network in New Jersey. 888 Casino is licensed and regulated by the New Jersey Division of Gaming Enforcement (DGE), and its land-based casino licensing partner is Bally’s Atlantic City. They first opened for real-money gaming on November 26, 2013, following a 5-day period of soft-launch testing. Anyone age 21 and over who logs on to the site from within New Jersey’s borders can access 888 Casino for gameplay, whether they’re a resident or just a visitor to the State. It’s quick and easy to get started at 888 Casino, because you can play straight from your web-browser from anywhere (within New Jersey). This means there’s no need to download anything to access their online casino games, which can be played on your desktop, laptop, tablet or smartphone. For Roulette fans, 888 Casino is definitely one to check out. We recently reviewed 888’s online Roulette software in our HarrahsCasino.com review, giving it a resounding thumbs up, and highlighting it as possibly the best part of their entire games portfolio. However, for an award-winning casino – they were last year’s dual recipient of the eGaming Review Awards “2013 Casino Operator of the Year” and overall “2013 Operator of the Year“ – their general online games lineup is a little on the sparse side, and may not live up to the hefty expectations that come with such shining industry accolades. Blackjack buffs will at least find Classic and Premium Blackjack, and Slots devotees can play on a variety of different themed slots, including Millionaire Genie, Ultimate Universe, and and for all you bacon lovers out there: Ca$h Pigs. What you will also love knowing is that 888 Casino has a reputation for taking responsible gaming seriously, and list on their website the number of ways they ensure the safety of all their players. You can view their responsible gaming section here: 888 Casino Responsible Gaming. If you’re not sure you’re ready to invest any of your hard earned cash just yet, we recommend that you go ahead and register an account with 888 Casino. You’ll get a $10 free registration bonus when you join, no deposit needed. So, definitely take advantage of their offer to sample their available games for free. Also of note is their super low $10 minimum deposit limit – one of the lowest you’ll find amongst all of the New Jersey online casinos. So, either with the complimentary dollars alone, or combined with a bare minimum deposit, a total of $10-20 of gameplay is sure to give you a good feel for whether this is the right online casino site for you! If Table Games are the number one reason you log on to any online casino, then you might be a little disappointed in the lack of variety available at 888 Casino. The games on offer are decent quality, but there’s just too few of them. With only two generic table games, Blackjack and Roulette, you just won’t find any of the other popular games here like 3 Card Poker, Baccarat, Casino War, or Let it Ride. We’re all familiar with the feel good stories of someone down on their luck suddenly striking it rich by slapping down the last of their bankroll on “red” or “black”, only to have that little white spinning ball fall their way. 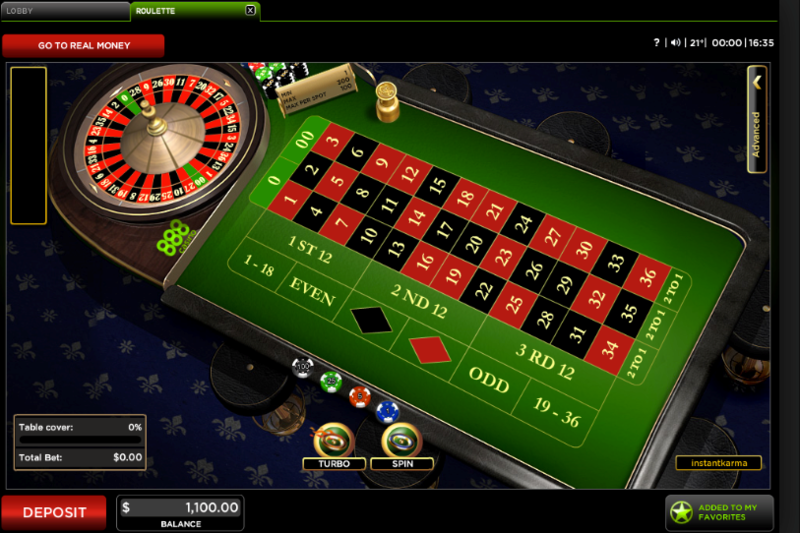 Roulette – This is the Classic USA version of the game, which has a single bet payout of 37 to 1 due to the added double ’00′ spot on the wheel. You can bet on a number, a series of numbers, color, odd numbers or even numbers. The same Inside and Outside Bets and Neighbor Bets found in European Roulette are also available on these classic Roulette tables. The minimum bet here is $1, while the maximum bet for this game is $300. Premium Roulette – It offers you the same rules as Roulette, but you better bring a bigger bankroll with you if you want to rumble with the high rollers here. It offers a minimum bet of $5, with a maximum bet of $2,000, and a maximum bet per spot of $600. 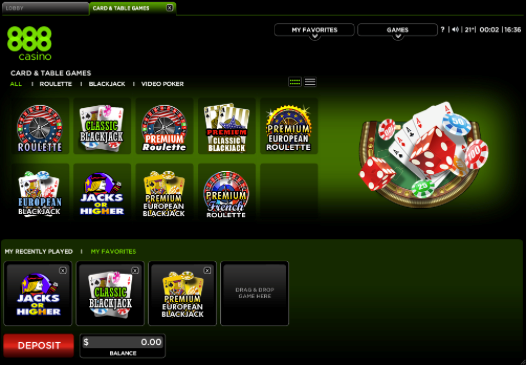 Premium European Roulette – This version is slightly different from its American or Classic counterpart. 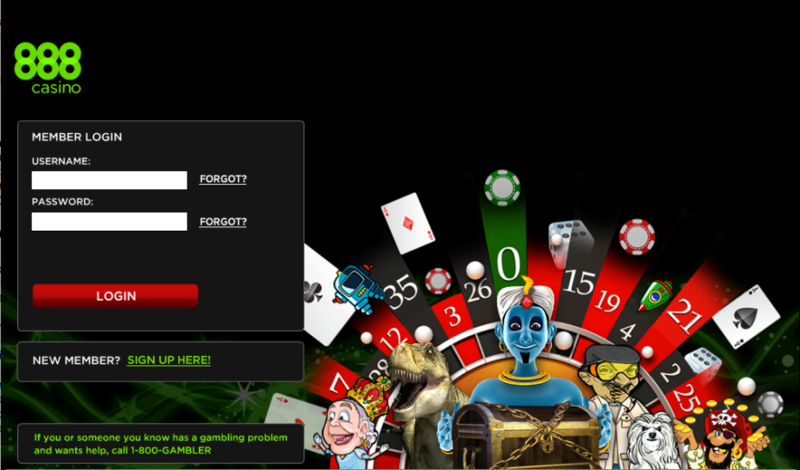 Premium European Roulette wheels have a number range of 0 to 36, thus influencing probability. There is no ’00′ on the wheel, which actually works to your advantage. In European Roulette, you can wager on either a single number or a range of numbers, on the red or black, or on odd or even. The minimum bet is $5, with a maximum bet of $2,000. The Advanced Panel in this online game will also reveal bet selections such as Neighbor Bets, Hot/Cold Numbers, and Inside and Outside Bets. They also have what they call European Roulette Pro (Minimum Bet: $1; Maximum Bet $300) and Low Stakes Roulette (Minimum Bet: $0.50; Maximum Bet: $300) versions of this game available. Premium French Roulette – This Mediterranean variation of Roulette has a few extra features that affect the odds like the La Partage Rule, where you will only lose half of an even money bet when the zero is called, and Announced Bets. The La Partage Rule reduces the house edge even further from classic Roulette, which is great for you as the player! This makes Premium French Roulette the lowest house edge version of Roulette available online in New Jersey, and for this reason it should quickly become your favorite online Roulette game! It has a minimum bet of $5, and a maximum bet of $2,000. 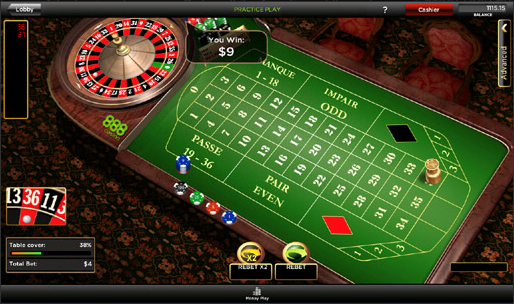 The normal version of this game French Roulette is also available with exactly the same rules and lower betting limits – Minimum $1 and Maximum $300. The word ‘Roulette’ comes from the French language and means ‘little wheel’. Invented by French scientist and mathematician Blaise Pascal, the game of Roulette is proudly a French original. So, it stands to reason that this is the “pièce de résistance” of 888’s Roulette offering in New Jersey, not to mention possibly the showpiece of their entire online casino! If you plan on sinking any money into their online Roulette at anytime, then you’d be wise to stop by their French Roulette tables first. In this 6-Deck version of Classic Blackjack, it’s obviously a dealer versus the player scenario. The player and the dealer are each dealt two cards, with the goal of reaching 21 without “Busting”, and a round begins after the player has bet and clicked “Deal”. 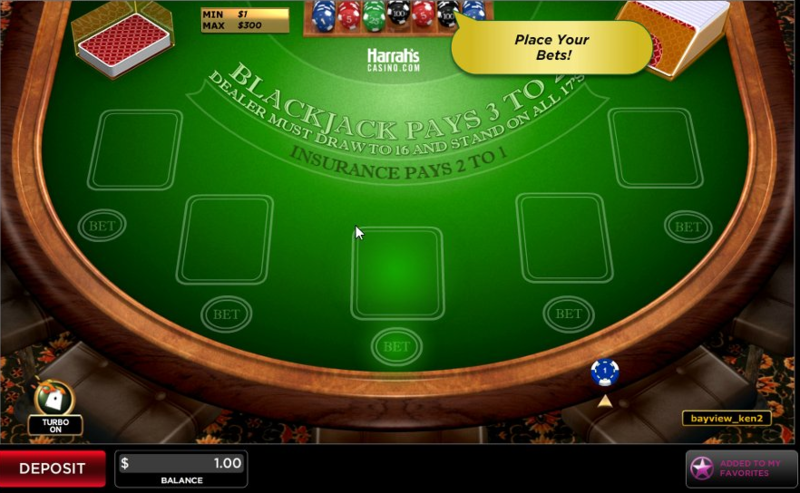 If you choose to try your hand at this Blackjack variety at HarrahsCasino.com, you may also play multiple hands at one time. 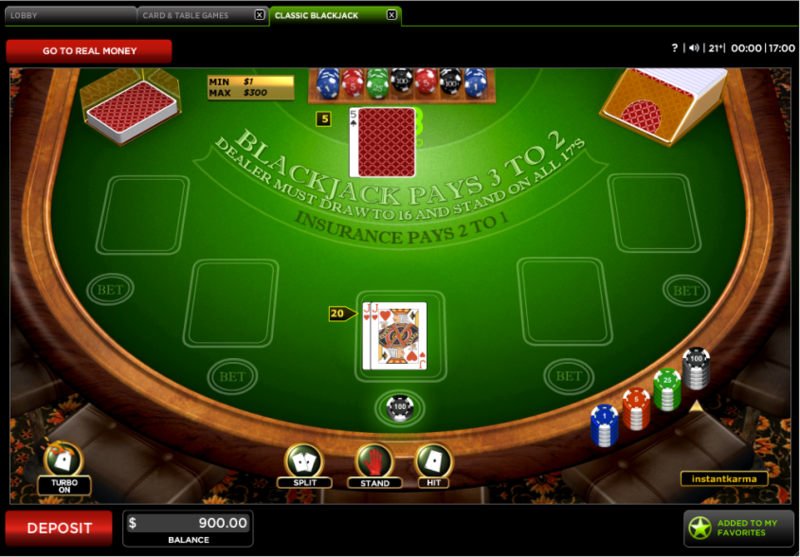 During the course of a hand, you may add to your bets through the options of Double Downs, Splits, and Insurance. Split Aces receive just one card. In the event of a “Push”, where the dealer and you hold a hand of the same value, your bet will be left on the table. “Even Money” can be invoked if the dealer has an Ace, and you have a Blackjack, thus protecting yourself from a possible Dealer’s Blackjack. You may also choose to continue playing without using the “Even Money” option. If the Dealer does not have a blackjack, you will be paid at a normal 3 to 2 on his/her Blackjack. The minimum bet here is $1, and the maximum is $300. If you are into calculating odds on the games you play, take note that the expected return payout on this game is 99.52%. In layman’s terms, this means that there’s a VERY small house edge on this game, which is great for YOU! General Rules: 6 Decks, Blackjack pays 3:2, Dealer Stands on ALL 17s, Double Down, Split Once, Double on 9,10, or 11 only, Insurance Pays 2:1, Even Money Pays 1:1. Premium Classic Blackjack is played with exactly the same rules and functions as Classic Blackjack, except with the more premium looking black tables, and the added thrill of higher bet limits. So, if you’re looking for a taste of the high roller life, then this game might be for you. The minimum bet is $5, with a maximum bet of $2,000. Just like Classic Blackjack, the expected return payout in this game is a whopping 99.52%, which players love. With just 22 Slot game choices, the 888 collection is one of the smallest you’ll find of any of the online casinos in New Jersey. CaesarsCasino.com, for example, has more than double this number with an impressive lineup of 51 Slots titles; these include several from games developers High 5 Games and IGT, both of whose products feature appealing graphics, likeable sound effects, music, and engaging and varied bonus rounds. For some discerning online Slots enthusiasts, 888’s Slot games may fall short in almost all those areas – despite their many years in the online business, and their reputation as one of Europe’s preferred online casino operators. Fortunately, it’s not a total wash here. You will find a few titles worth playing. Adventures in Orbit, Café de Paris, Ca$h Pigs, Casino Reels*, City Life, City Life 2, Knights and Maidens, Bloodlines, Dino Stampede, Dino Jackpot Stampede*, Doctors Orders, Easter Bunnie$, Euro Reels, Evangelion, Freaky Fruit, Millionaire Genie*, Panda Manga, Pirates’ Millions*, Sugar Doggie, The Royals Go Camping*, Ultimate Universe* and Viva L’Italia. 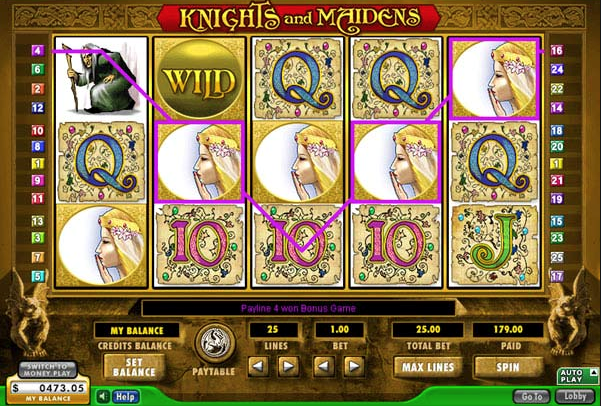 Knights & Maidens – This 5-reel 9 paylines Slot game features a mythical medieval theme, which also inserts a level of fantasy into the mix, with dragons, wizards and fairies also making an appearance. It’s all set inside an ornate frame, which is itself housed within some sort of gothic castle. Even the lower value 10, J, Q, K, and A are beautifully embroidered, while the main symbols are an owl, a hunchback, a fairy, a dragon, and a castle. 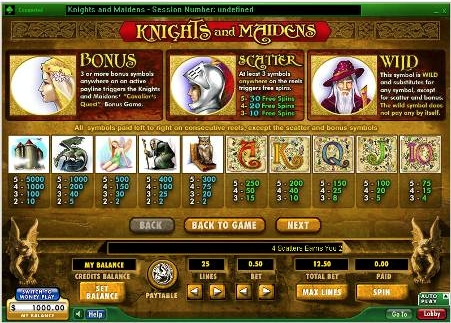 The wizard is the wild symbol, the Knight is the Scatter symbol, and the flaxen-haired maiden triggers the main bonus game. Landing three or more of the scatter symbols will reward you with between 10 to 30 free spins. There’s no extra multiplier for this feature, but the spins can be re-triggered while you’re playing it. Three or more of the maiden symbols will activate the Cavalier’s Quest, a funky little bonus game, in which your mission is to rescue the Maiden, by making your way through a number of levels, picking the correct items as you go. The further you progress, the more the items are worth. Overall, this is an attractive Slot with some great graphics and animations, and two bonus features. It does have some strange sound effects, but if they annoy you, call on the mute button to solve this issue. We don’t think it’s a deal breaker. 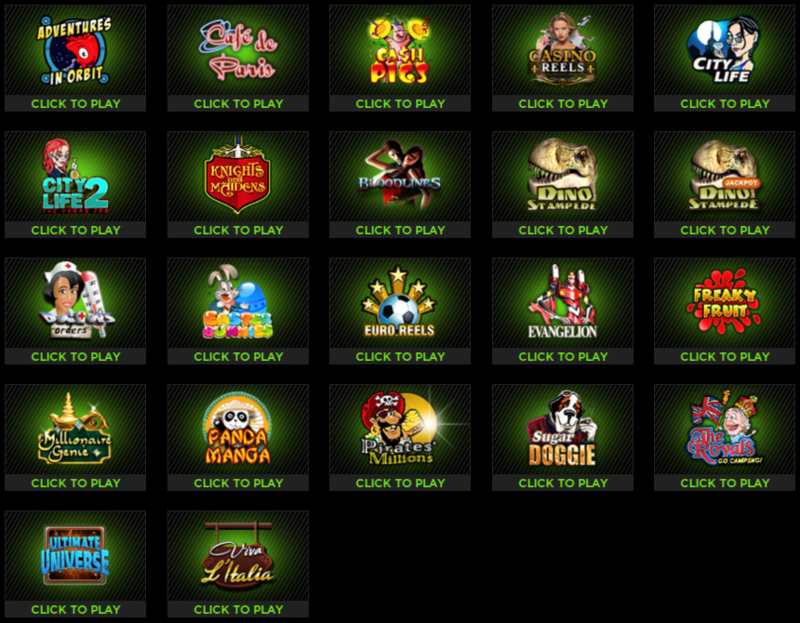 Just like at a live casino, 888’s online casino offers the lure of several Progressive Jackpots. Some of them offer fabulous life-changing money in excess of $1,000,000 should you happen to beat the odds and end up scooping the rich random jackpot prize. A few of the others are also triggered at random more frequently, but they reward more realistic amounts that are easier to wrap your head around, somewhere in the vicinity of between $1,000 and $2,000. At 888 Casino, there are a total of six Progressive Jackpots to choose from: Millionaire Genie, Ultimate Universe, Casino Reels, Royals Go Camping, Dino Jackpot Stampede, and their latest addition to the lineup, Pirates’ Millions. The two standouts here if you’re on the hunt for instant millionaire status are Millionaire Genie and Pirates’ Millions. Millionaire Genie delivers some interesting features, most notably a randomly awarded mega-jackpot of $1 million or more. With a minimum bet of $0.75 (and a maximum of $75 per spin), this game can be entertaining, while also expensive. But, if you’re willing to take your chances, the rewards could well be worth the investment. This is a 5-reel 15 payline online Slot game with a special Sticky Wild feature and a bonus game. During free spins, the Genie magically adds Wild symbols to the reels to boost your winning chances. The Wilds stay on the reels for the entire free spins session with the Genie changing position from time to time. 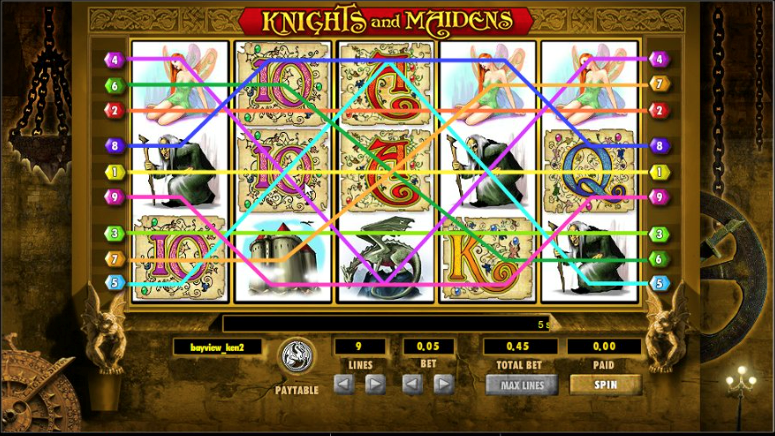 Three or more Scatter symbols anywhere on the reels summon the Genie to grant free spins. The more scatter symbols you have on the reels, the higher your chance of getting a larger number of free spins. The Genie can also award Sticky Wilds during free spins. The Genie’s Palace bonus game offers two rounds of prizes. You will be granted two wishes to collect bonus cash with a multiplier. The beauty of this bonus game is winning is guaranteed. The Jackpot is awarded randomly. No symbol combinations are needed to win it. But remember, the higher you bet, the higher your chances of winning. Of course, playing this game at your financial capacity might cost you more than you would normally invest, but should you lock up the Progressive Jackpot in excess of a cool $1, 000,000, then we don’t think you’ll be complaining. 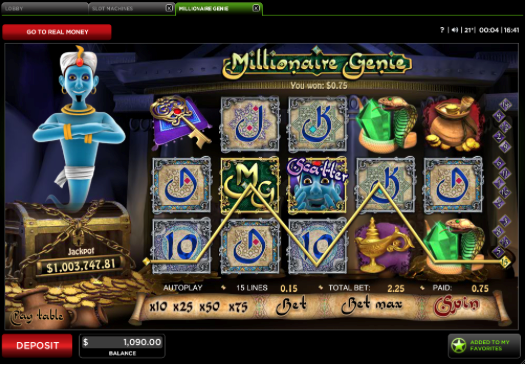 We reviewed this popular Slot during our HarrahsCasino.com review, so if you’re looking for more details on Millionaire Genie, we invite you to read more there. Now we jump from the sublime to the ridiculous. While we just got you all hyped up about the awesome new mega-money jackpot on offer at 888 Casino, we’re going to burst your bubble by telling you that they only offer one single solitary Video Poker game. We’re sincerely sorry for being such a buzz kill, but really we’re apologizing on behalf of 888, because they’re guilty of ignoring their Video Poker fans, of whom, we expect there are many. The one option you have at 888 Casino is Jacks or Higher. 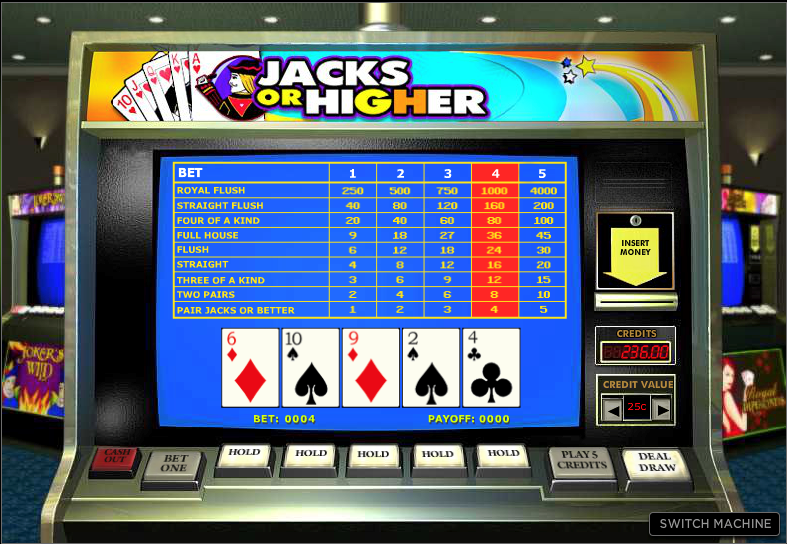 At first glace you might be fooled into thinking this is a “full pay” Jacks or Better game, one of the most popular Video Poker titles of all time, but this version falls shy of the mark in a couple of major areas. Look a little closer, and you’ll find that the four-of-a-kind pays only 100 to 1 versus the normal 125 to 1. Couple the unfavorable odds paytable with less than pleasing graphics, and a somewhat grating payout audio that sounds off at every paying hand, and we can’t truthfully tell you that you’ll enjoy the experience should you choose to try this game. The minimum bet is $0.25 x 1 credit, with a maximum bet of 5 x 5 credits. We suggest you stick with table games or Slots at 888 Casino, or check out some of the bigger selections of Video Poker titles on offer at several of the other legal online casinos operating in New Jersey. Before you jump ship in favor of any other operators Video Poker inventory, consider the Welcome Bonus package available to you. We’re a firm believer in trying anything once, and at 888 Casino, you can do that for nix just for signing up for an account with them. Let’s check out the T’s and C’s to see if there’s any catch. 1. NO DEPOSIT BONUS – Get $10 free when you create your 888 Casino account. There’s absolutely no deposit needed to redeem the offer. Free play credited to your account must be used within 14 days (the “Expiry Date”), before it expires. Unused free play will be removed from your account. Any winnings generated by the $10 worth of free play will be issued to you only after you have finished playing all of the free play. If you have not finished playing the entire $10 of free play by the Expiry Date, you will not be permitted to withdraw any winnings generated by the free play. So, really, the only real catch is that you have to use the free $10 within 2 weeks of receiving it…a pretty easy requirement to achieve in our book! 2. FIRST DEPOSIT BONUS – Receive 100% Match Up Bonus. When you make your first deposit on 888 Casino, they will match it dollar for dollar, 50% up to $500 on your first deposit and another 50% up to $1,000 on your second deposit! This a Pending Bonus, and any winnings generated with wagers placed with the bonus money may be withdrawn only after you have completed the wagering requirements, which is 30x the Welcome Bonus amount. “Pending Bonuses” are bonus funds awarded in a restricted state that may not be accessed nor wagered with, but are released into your real-money bankroll incrementally as you accumulate Bonus Points. Unless otherwise stated in a bonus’ Specific Terms, $10 in bonus funds will be released into your bankroll for every 100 Bonus Points earned. No bonus funds are released for Bonus Points earned that only partially fulfill an incremental Bonus Point threshold. a) You wager $500 on Video Slots: the entire $500 (100%) contributes towards the wagering requirements. b) You wager $500 on Roulette: $100 (20%) contributes towards the wagering requirements. If you choose to accept the Bonus offer, you’d be wise to stick to Slots gameplay here until you have met the wagering requirements in full. Signing up for an account at 888 Casino is relatively easy, and they also do as much as they can to keep funding your account as stress-free as possible too. They offer several methods of getting money on and off of 888 Casino. They utilize the most advanced security and encryption technologies available, to ensure that your transactions, and all of your financial information are completely secure. ACH Bank Transfers (preferred) – a secure, convenient online bank transfer method. Caesars Cage – Deposit cash instantly to your online account in person via the Casino Cage inside Bally’s Atlantic City, 24 hours a day, 7 days a week. PayNearMe – A cash deposit option that is available at 7-Eleven stores, and with more locations coming soon. The minimum deposit amount for all of these deposit methods is a low $10.00. Maximum deposit amounts are not specified on their website, so we suggest you refer to the Cashier in their online casino lobby for additional information. Withdrawal requests are processed two business days from the date of request. During this time you may cancel your withdrawal request from within the Cashier, and return it to your bankroll. 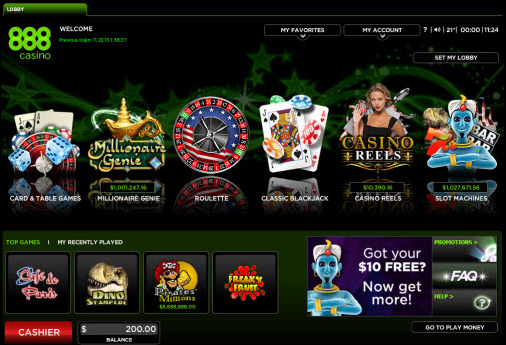 This will allow you to play for real money (Money Play) without making a new deposit to your 888 Casino account. After two business days the status of your withdrawal request will change to “processed” and you will no longer be able to cancel it. You will be notified by email once processing of your withdrawal request has been completed and the funds have been transferred to you (except quite obviously if you make a cash withdrawal in person at the Casino cage within Bally’s Atlantic City). 888 Casino does not charge any fees on their withdrawal services. The minimum check withdrawal amount is $50. Maximum withdrawal amounts are not specified on their website, so we suggest you refer to the Cashier in their online casino lobby for additional information. 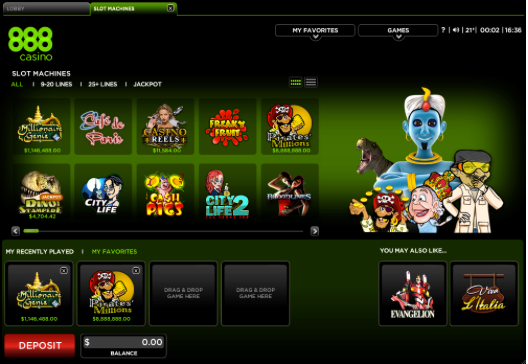 888 Casino is browser-based designed to support Windows and Mac computers, and providing your Internet connection is good, you can play seamlessly from a range of different browsers. As a player at 888’s New Jersey online casino on either PC or MAC, you will need to download the Geocomply plug-in only once (per computer) before you start enjoying their real money casino games. 888 Casino also has iPad and iOS Mobile Apps that are available for download from their website or iTunes. Their own website indicates that Android capability is in the works, and coming soon. The Mobile App will allow you to enjoy real money casino games from the comforts of anywhere, at any time. The 888 Casino App is quick and easy to download and install on iOS devices. Within a few moments, the download and installation will complete, and you’ll be up and running with your favorite games. The user-interface is intuitive and provides quick click functionality. Even with the limited capabilities of smartphone devices – in terms of screen size – players can still enjoy their online casino experience. As an online gaming pioneer in operation since 1997, 888 Casino is a trusted and reliable brand. Operating only in fully regulated markets, with 24/7 international player support and a secure online payments platform, 888 Casino offers a protected player environment. 888 Casino is fully certified and licensed to operate in New Jersey. This means that when you play at 888 Casino, you are engaging in online entertainment that is authorized and protected by the laws of the State, so you can relax, kick back and enjoy the experience with confidence. Their online payments platform uses the most sophisticated security and firewall protocols, in addition to public/private key encryption to guarantee data transfer security and prevent unauthorized access. Protecting Minors: Anyone under the age of 21 is strictly prohibited from entering the online casino. Personal Limits: Players can put a cap on how much they are allowed to deposit per day, per week and per month. Cooling Off Periods: Should players feel the need for some time away from the games, they can choose from a variety of self-exclusion periods. During a self-exclusion period, players are blocked from entering the casino for a time span that they define. All promotional emails are also halted until the self-exclusion period ends. These policies and procedures are all designed to give you added levels of comfort and trust when you play online at 888 Casino. If you have a question, you’re experiencing technical difficulties, or just need general assistance from 888 Casino, you have two ways of finding an answer or solution to your problem. They offer an online FAQs section, which they urge you to try first before reaching out to them. If you still can’t find the help you’re looking for, then they present just one method of communication with their Support Team, and that is via email @ supportNJ@888.com. Unlike many of the other New Jersey online casino operators, 888 has no live chat but does have a toll-free number: (855) 218-6234. The online gaming company 888 was founded in 1997, and is based in Gibraltar. It has been listed on the London Stock Exchange since 2005. The Gibraltar gaming license allows 888 to run a number of global gambling operations, including a casino, bingo, a sportsbook, and one of the most popular poker networks worldwide. 888 exited the U.S. real-money gaming market in 2006 as a direct result of the passage of the Unlawful Internet Gambling Enforcement Act (U.I.G.E.A). Their partnership with CIE and Bally’s Atlantic City has paved the way for their re-entry into the United States after a seven-year long absence. Their launch in New Jersey is quite obviously part of a larger strategy to reenter the U.S. legal online gaming market, and things are definitely heading in the right direction for them, the 888/Caesars partnership already securing additional operating licenses in Nevada and Delaware for them. 888 Casino offers New Jersey’s online gaming enthusiasts one of the smallest selections of games of any of the virtual Casinos in the State. We found this a little surprising, considering 888’s reputation as one of the industry’s most celebrated Online Casino operators in Europe. Slots players will probably tire easily of the limited choice of 22 titles on offer, and those who prefer Table Games will be left wanting more if they’re on the hunt for anything other than Blackjack or Roulette. 888 Casino’s one Video Poker title Jacks or Higher does little to redeem them for any online gamer that loves nothing more than skipping from one game to the next to keep the adrenaline levels high. In short, while you can still likely find a reason to try your hand at 888 Casino, we don’t expect you’ll discover too many more reasons (at this stage) to stick around for any length of time, except for perhaps the lure of their monster Progressive Millionaire Genie Jackpot, which dangles an elusive $1,000,000 carrot at those who chance their luck on this particular Slot game.